Emergency Dentists USA provides a comprehensive listing of carefully selected Knoxville emergency dentists who are standing by to treat your dental emergency on your schedule. The dentists listed on Emergency Dentists USA are chosen for their excellent skills and their exceptional care, making it easy to choose a great dentist without the hassle of searching all over the city. Or you can pick up the phone and dial our 24-hour emergency dental hotline to speak with a live operator who assists you in choosing a great Knoxville emergency dentist and can even set up that first appointment. I am so glad I found this site, it had such helpful information when I lost a filling a few weeks ago. They were able to find a few local emergency dentists in Knoxville for me. Knoxville has a variety of dental clinics that provide excellent service at prices that are affordable. There are after hours dental offices like Knoxville Dental Center – Hardin Valley which is open late in the evening, early in the morning and on the weekends for any dental emergency. DentaCare of Knoxville is also a great choice as it has evening and Saturday dentist hours as well. Clinics that specialize in being open 24 hours a day are not available in Knoxville, but DentaCare of Knoxville offers an emergency hotline that helps you to connect with a great dentist at any time of the day. Simply scroll through our comprehensive listing of Knoxville emergency dentists and choose the dental office that suits your needs or is near to your home or hotel. Use our 24-hour emergency hotline to speak with a live operator who can assist you in choosing a dentist and even set up that first dental appointment for you. Directions: Our referral service to Knoxville dental clinics. Services: Call today, Round the clock and 7 nights every week to speak with our emergency dentist Knoxville TN hotline. We can assist you in finding a dental professional with regard to whichever your current dentistry emergency may be. Our connections as well as partnerships puts us in direct contact with the very best dental offices with regard to crisis situations throughout the United States. Find Tennessee 24 hour dentists today. Description: Offering affordable and convenient dental care, DentaCare of Knoxville provides routine and restorative dental services with kind and caring dentists that include Dr. Thompson and Dr. Fox. Several office locations are designed to make managing your dental appointments simple, and office hours that extend late into the evenings and begin early in the morning give you plenty of choices for fixing that dental problem quickly. Emergency appointments are always available with DentaCare of Knoxville. Description: With ten dentists and six locations to serve you, Knoxville Dental Center – Hardin Valley makes it simple to get excellent dental care at affordable prices. Dr. Holland and Dr. Williams both serve the Knoxville office, offering restorative dental care, routine x-rays, and cosmetic dentistry along with dental implants. Knoxville Dental Center – Hardin Valley is in-network with most dental insurance plans and offers after-hours dental services in the evenings and on the weekends. Description: Dr. Stansbury and Dr. Kennedy at Kennedy Dentistry understand what it is like to experience dental pain. This state-of-the-art dental clinic offers digital x-rays, fillings, same-day crowns, and restorative services that include oral surgery and cosmetic dentistry. This friendly and innovative office provides you with the dental care that you need while supporting you emotionally. Providing care for adults and children, Kennedy Dentistry is open during the week to provide you with excellent dental care. Description: Dr. Malone and Dr. Dickenson at Knoxville Smiles are always available to treat your dental emergency. With office hours that begin as early as 7 a.m., this dental clinic provides both routine dental examinations and emergency dental care when you need it most. From dental implants to crowns and bridges, Knoxville Smiles specializes in restorative dental care that improves your smile quickly and painlessly. – Most emergency dental clinics offer routine care along with more extensive restorative dental procedures like implants. – Have your paperwork, health records, and insurance information ready. This information makes it easier for your new Knoxville emergency dentist to choose a treatment plan that suits your smile. – Head to your appointment at least 15 minutes before the appointed time. This gives you extra time to complete paperwork and ask any questions that you might have regarding the procedure that you are about to experience. – Make sure you know how you’re going to pay. Many Knoxville emergency dentists offer low-interest payment plans for dental services that are extensive. – Choose an emergency dentist who is in your dental insurance network. This can save you money when the time comes to pay the dental bill. – Just like any medical visit, make sure you know if you have any allergies to medicines. Bring a current list of your medications with you to visit your Knoxville emergency dentist. – Do you have intense dental anxiety or fear? Let the office staff know that you experience dental anxiety and they can help you to understand your procedure and relax. Some of the most common emergencies include cracked or broken teeth along with fillings that have fallen out of the teeth. You might also have a tooth that is knocked out or partially knocked out. 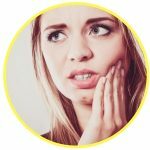 Sometimes a common dental emergency is a soft tissue injury to the mouth or the lips and tongue, a loose or even lost crown or a bracket or wire on your braces that has broken. When you encounter some of the most common 24-hour dental emergencies, Knoxville emergency dentists are standing by to care for your dental problem right now. 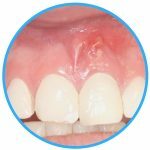 An abscess is a common dental emergency that can be extremely painful and even dangerous if left unaddressed. An abscess is actually an infection that occurs below the tooth in the gum, or between the teeth in the gum. It is important to rinse your mouth several times with salt water to draw the pus toward the surface of the gum. Sometimes your dentist will prescribe antibiotics for the infection, before he or she creates a plan to protect your teeth. It is important to visit your Knoxville emergency dentist as soon as possible to care for the abscess. A lost filling is a common dental emergency that requires quick treatment from a Knoxville emergency dentist. You can use a small piece of sugarless gum to cover the hole where the filling was located. This will protect the cavity from damage due to chewing food. Do not use gum with sugar in it as this can cause pain in the cavity. You can also use a small amount of over-the-counter dental cement to seal the cavity temporarily. 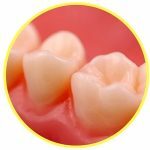 A loose or lost crown is a dental emergency that can become painful if it is not addressed quickly. Sometimes the crown becomes loose or is lost because the tooth below the crown continues to decay. If you can find the crown, rinse it with water and then fill the interior of the crown with toothpaste or with over-the-counter dental cement. Place the crown back over the tooth to temporarily prevent further damage to the tooth until you can visit an emergency dentist. An emergency tooth extraction is something that no one wants to deal with, especially during their Knoxville vacation. You might require an emergency tooth extraction if your tooth has decayed beyond the point where a dentist is able to fix it. It is important to have the extraction accomplished as soon as possible to ensure that you do not have complications or an increased need for medication. Your Knoxville emergency dentist usually begins the extraction by first taking an x-ray of the tooth. He or she then performs an examination of the tooth and chooses a type of anesthetic to ensure that you are comfortable during the procedure. A special dental tool is used to remove the tooth from the gum, and the gum is stitched closed with a type of suture that dissolves over time. A small piece of gauze is placed over the gum to control any bleeding. Full healing usually occurs within one to two weeks of the procedure. It is important to avoid eating hard foods and drinking from a straw while your gum is healing. Also, avoid smoking or drinking alcohol until the gum is fully healed. A visit to the emergency room of a hospital is really important if your dental emergency comes from something like a fall, a sports injury or an accident. Because you might have sustained an injury that is dangerous, like a concussion, the hospital emergency room is the right choice for your dental emergency. For most common dental emergencies, a Knoxville emergency dentist is fully trained and has the right equipment to care for your tooth trauma. He or she generally will charge less for the examination and the dental care than a hospital emergency room, and a dentist is specially trained to handle dental problems. Use the American Dental Association’s website to ensure that the dentist that you choose is properly licensed and certified. This is important when choosing a new Knoxville dentist. 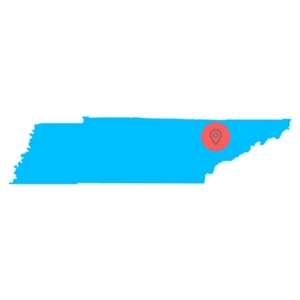 You can also use the Tennessee Dental Association’s website located here to check on local dentists and to learn more about proper tooth care, new dental products, and even dental resources in the state of Tennessee.